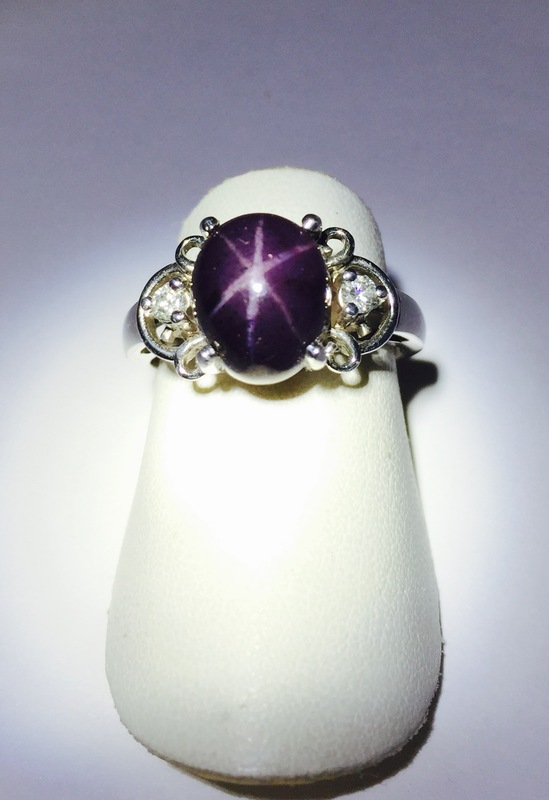 This ring has a nice touch with the loop look enhanced with two 10pt diamonds. 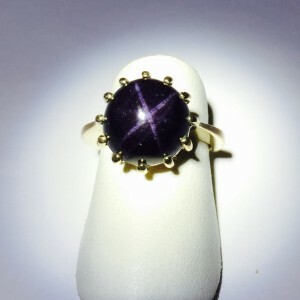 The ring has a nice sturdy feel to it, meaning some weight. 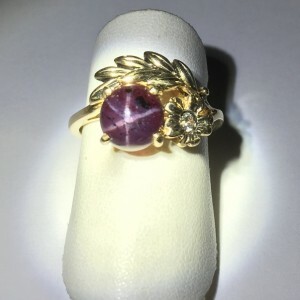 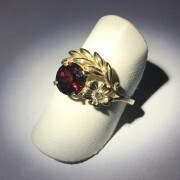 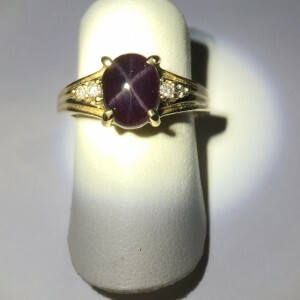 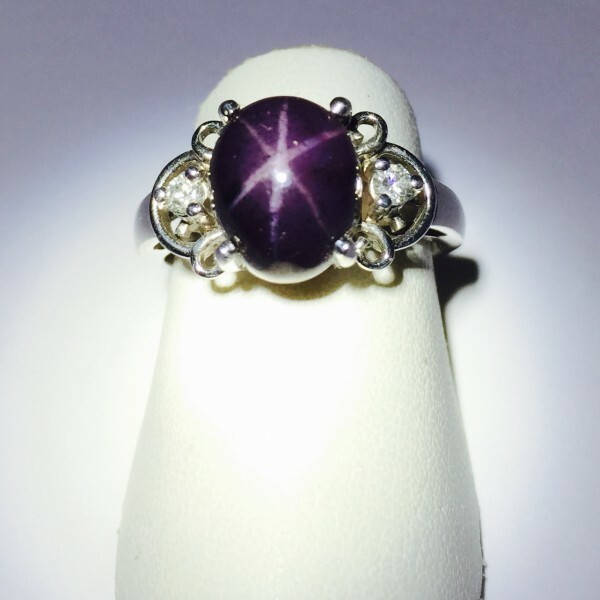 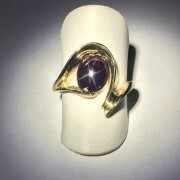 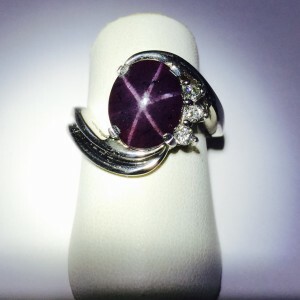 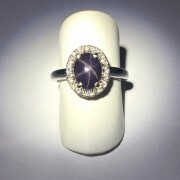 The Star Garnet is a 10×8 oval with six rays. 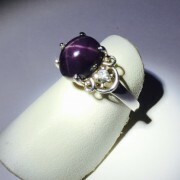 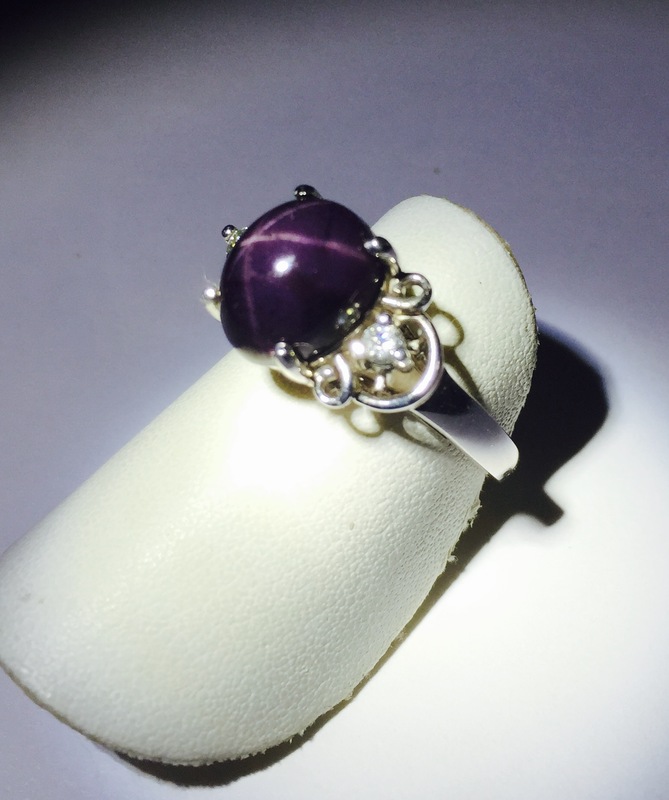 Setting is white gold and two 10pt diamonds are on each side of the stone.